Tourette Syndrome Petition – Sign Up Please! Contest! 2. Sign this petition to get more education and research out there to understand Tourette Syndrome. This will also help educate the public. Did you know that 1 out of 100 people are affected by T.S.? That’s a lot. Moms and Dads reading this blog, you have to know that you are not alone. In closing, I’m off to UCLA today for our weekly drug study check up. I’m quite certain that this will be the one hour in an entire week where my kid isn’t ticking forty times/minute. Why will he not tic for the famous Dr. McCracken? Because life seems to work out like that sometimes. Which is fine. One more thing to laugh about later. If not, I’ll cry. And really, who needs that? Isn’t it so much better to not take ourselves so seriously? Here’s your bloggy writer, Andrea, signing out. 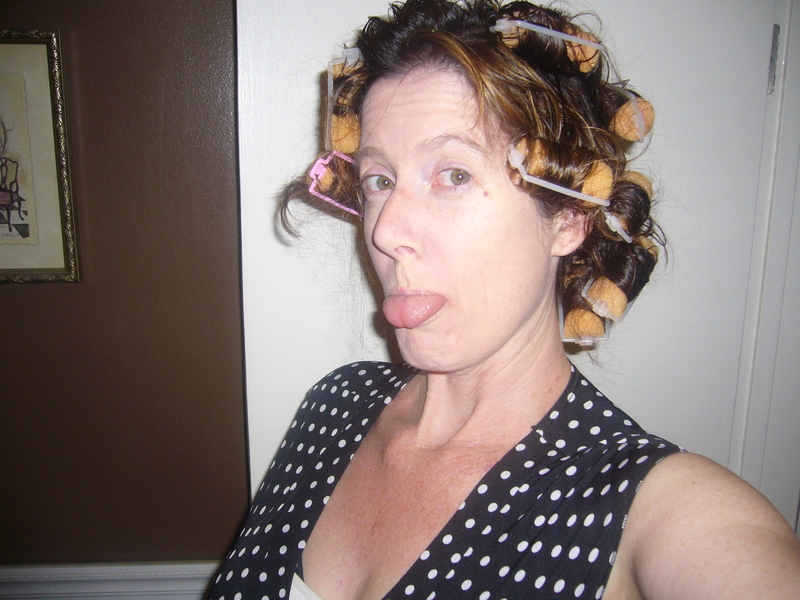 If I can wear curlers to Trader Joes, you can get through some tics this weekend. I promise! My blogs are reposted weekly at the New Jersey Center for Tourette Syndrome. Other bloggers write there, too, so check in to this valuable resource when you can. If you want to write your own blog there, I will happily hook you up with my editor. I don’t know about the curlers in public ;). But I just signed the petition & plan to have the rest of my family do the same before the weekend is over. i’m still crackin’ up because i’m in chiropractic school and i have tourettes and its been a horrible week but how fun would it be if my name was Dr. McCracken DC??? I’m about to sign said petition. A lot more of youhave signed this and signed the petitiona and it’s not showing up here. I’m sorry! I don’t know why! Looking into it…. I signed and tweeted the petition! I know what you mean, my son never tics at the neuro and hardly tics in school, I think he saves it all up for when he’s at home! Signed it! Scary to know that 1 in 100 have TS.